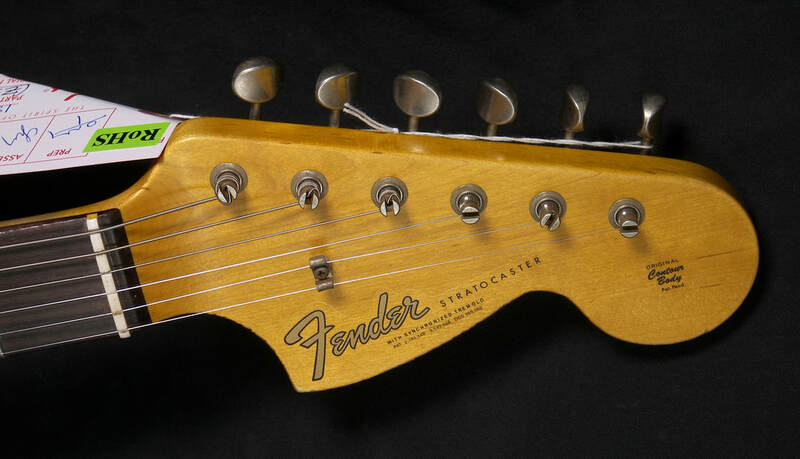 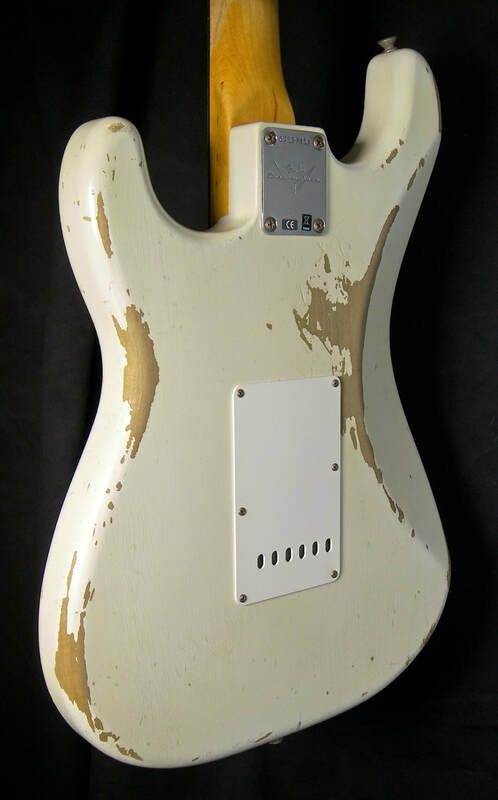 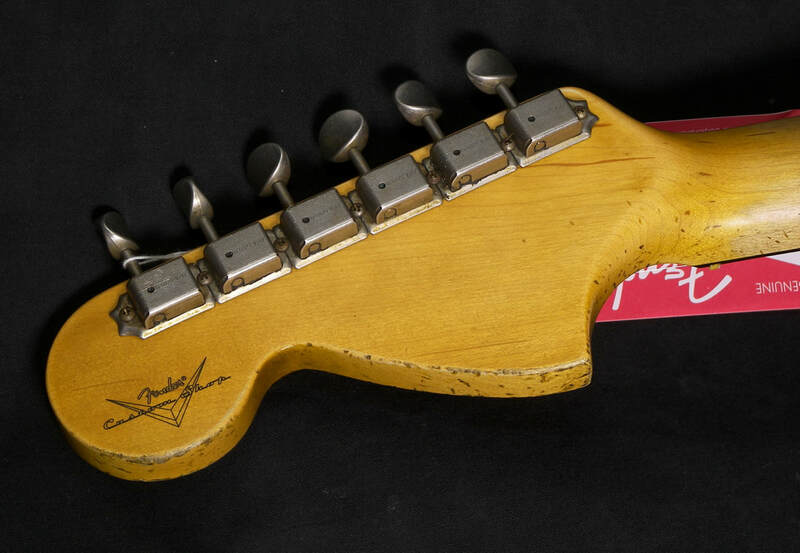 Other Decals, front: "STRATOCASTER", "WITH SYNCHRONIZED TREMOLO", "PAT 2,741,146 3,143,028 DES 169,062", "ORIGINAL Contour Body Pat. 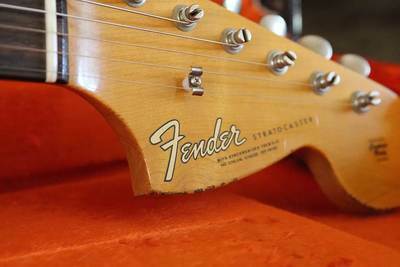 Pend." 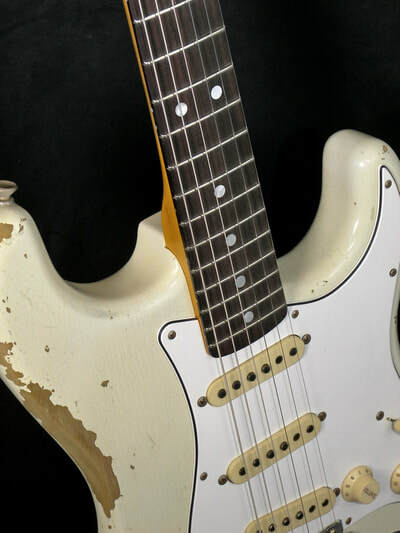 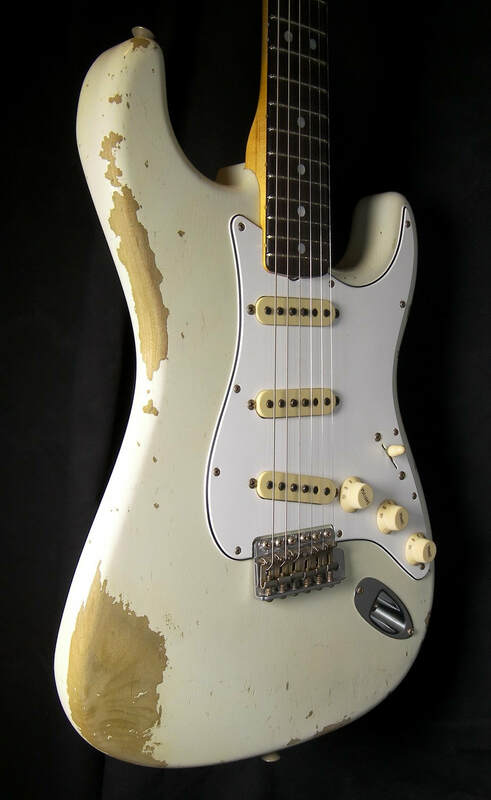 The Fender Custom Shop 1967 Heavy Relic Stratocaster is an authentic evocation of the instrument in one of its most viscerally thrilling years, with upgraded features for modern playability. Its lightweight alder body features a Heavy Relic lacquer finish, which authentically simulates the look and feel of years of heavy use. 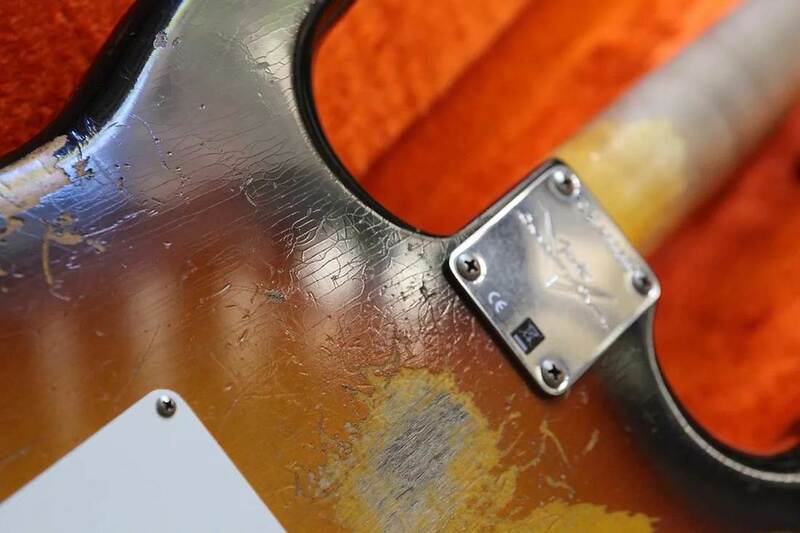 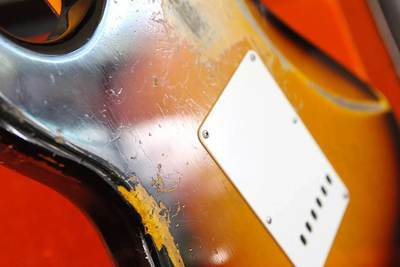 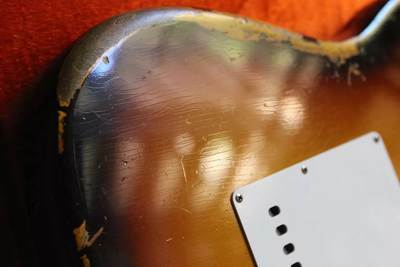 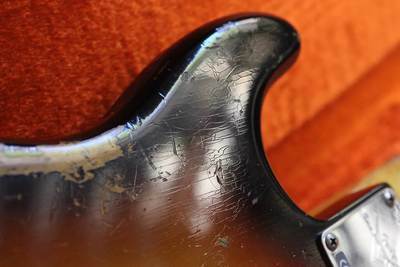 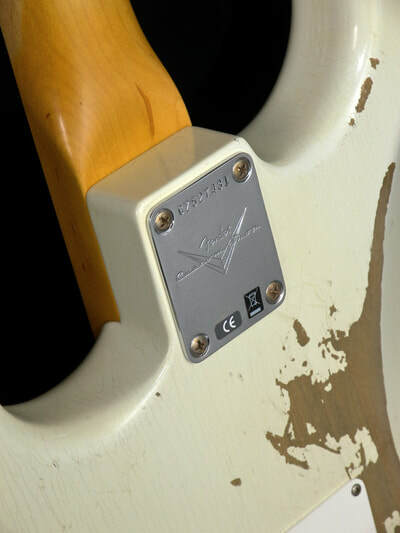 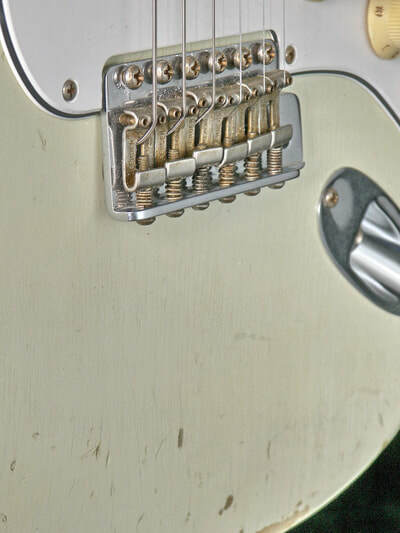 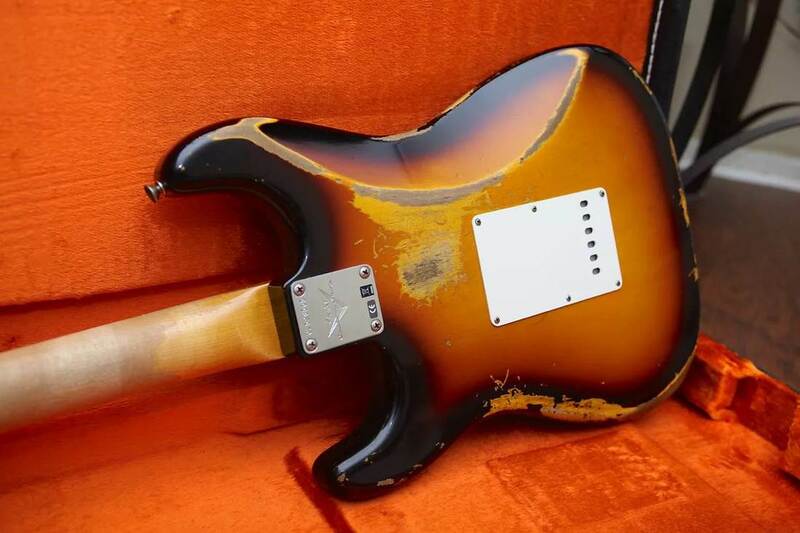 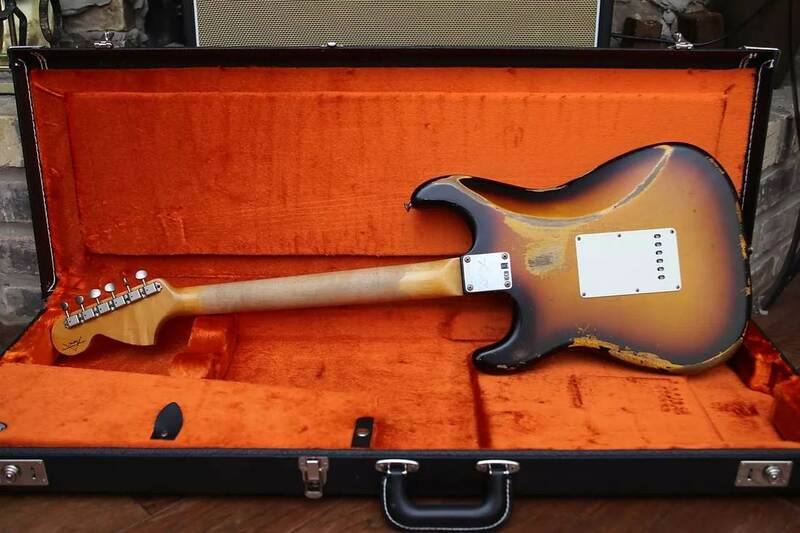 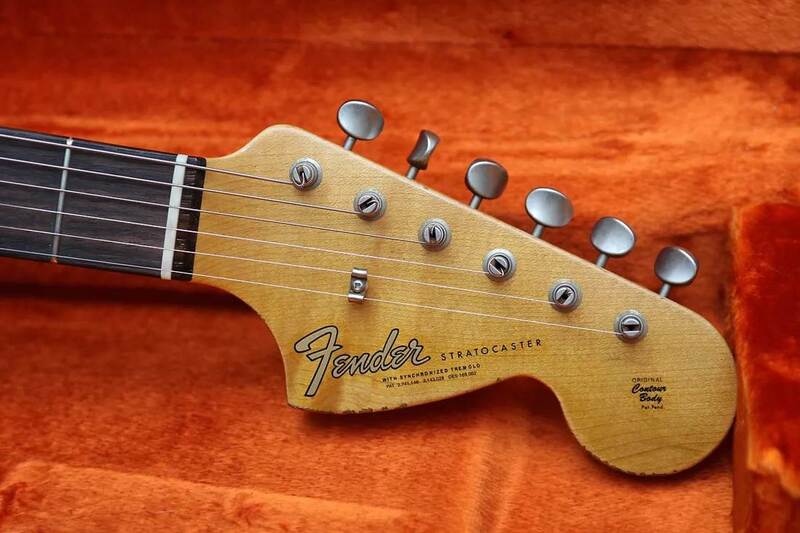 Time-honored Stratocaster sparkle comes from a hand-wound 1969 neck pickup, reverse-hand-wound/reverse-polarity 1965 middle pickup and hand-wound Fat ’60s bridge pickup, with five-way switching and Vintage Modified wiring for modern versatility. 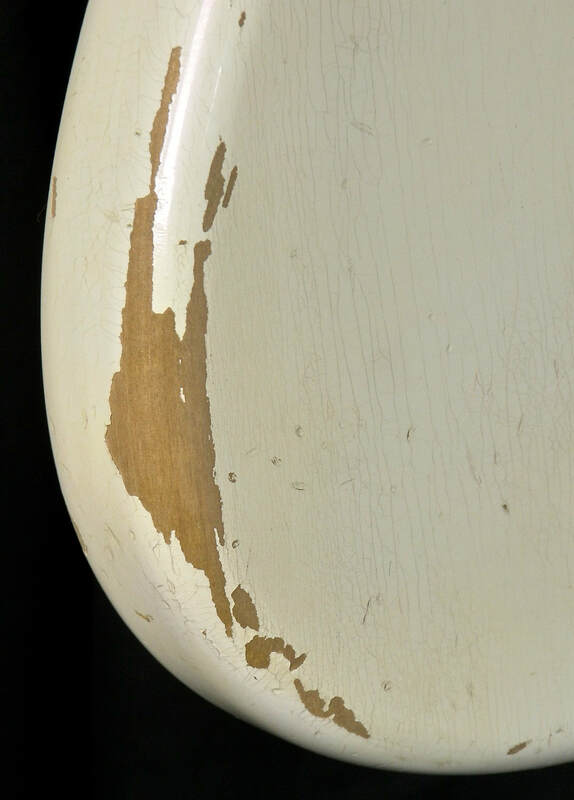 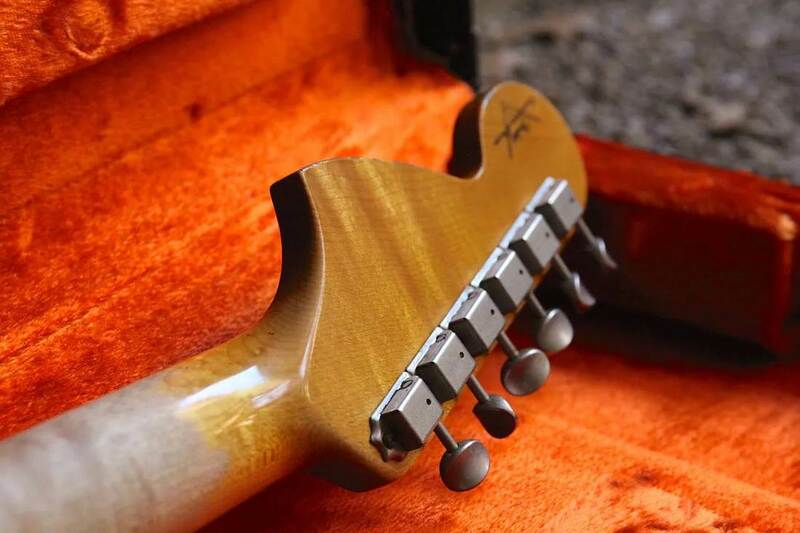 Other premium features include a tinted maple neck with a 1966 oval “C” profile and 9.5”-radius round-laminated rosewood fingerboard, 6105 frets and bone nut, three-ply parchment pickguard, and vintage hardware. 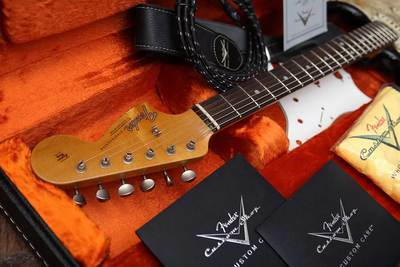 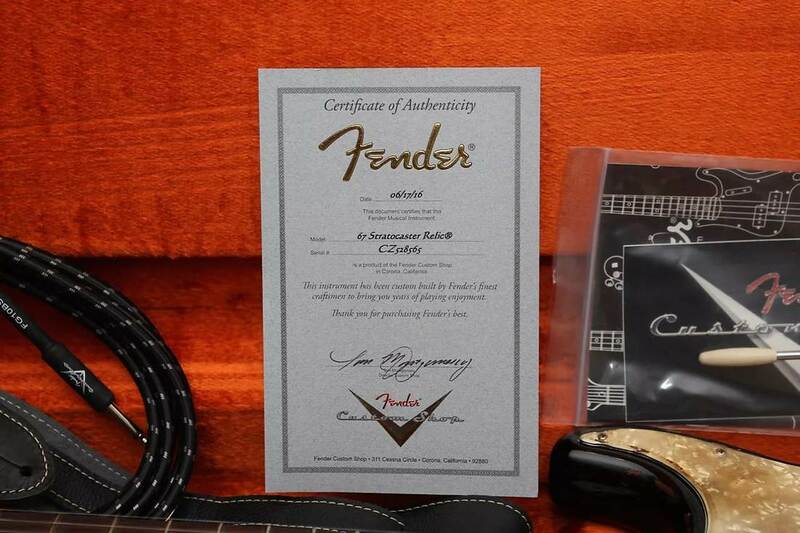 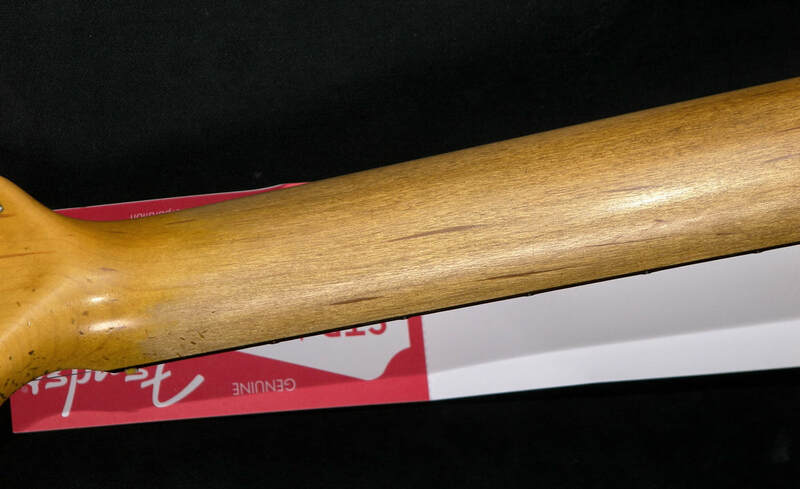 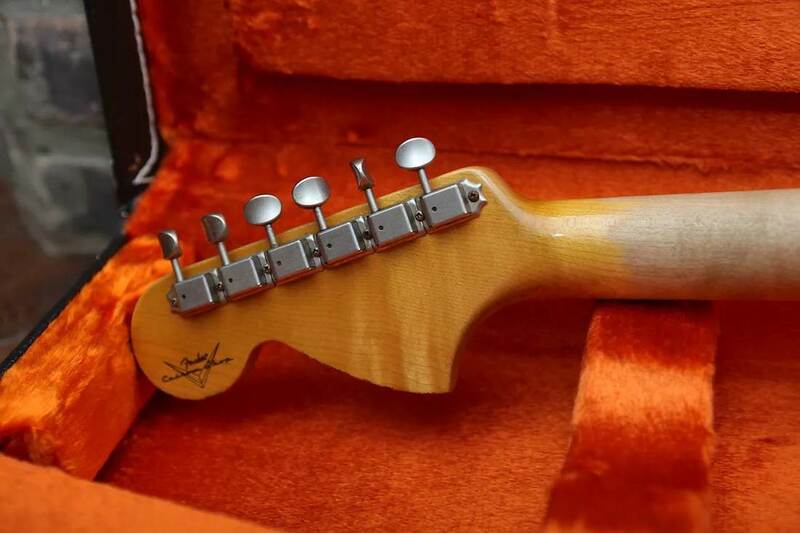 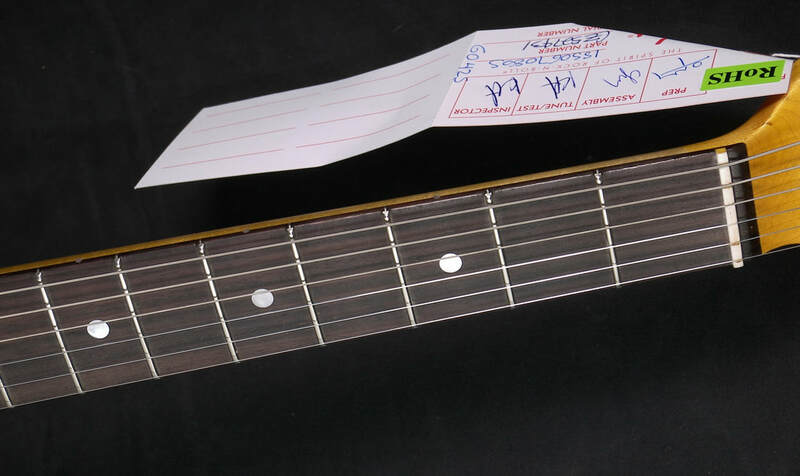 Includes Custom Shop certificate of authenticity and black case. Available in Faded Three-Color Sunburst, Aged Olympic White, Black and Sea Foam Green.